Thanks for the invite but I think I'll leave the beast on the drive now. I don't want to tempt fate! I've sold quite a few cars and bikes on Ebay over the years and have had my fair share of inane questions, but this one takes the biscuit. Quite why they think I might be interested in how many other kit cars they own/have owned is beyond me, and the concept of an auction shouldn't be that difficult to grasp. Unless you're a moron. 'I'll give you £xxxx and pick it up tomorrow mate' aaaaaaaaaaargh! Mick – I hope your Ebay hassles during the auction are rewarded with a good price at the end. I think it is a well written advert and someone is going to get a great car. She's now had 4393 views, and there are 341 watchers. Yellow Monaco Guy is still the highest bidder. I expect further bids (if any) will be in the last seconds: could be an exciting time. However, if she sticks at £12k I'll be more than happy as this is almost exactly what I've spent on her replacement, which arrives on a low loader Thursday AM. 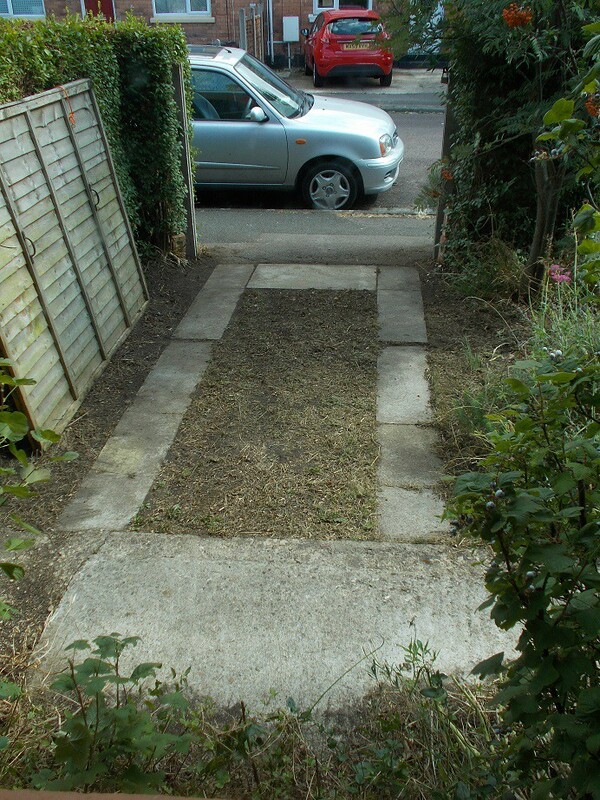 I've transferred the insurance and tidied up my front garden 'landing strip' which will be its new home until the A352 departs. This morning the nice man with the low loader delivered my new (well, 47 year old) toy. Thrilled to bits? Absolutely. A352 views now 5150; watchers 382. You paid the same for that as the A352 is at? It was on sale for nearly £15k in October last year ! The old Lotus S4's are very collectable but the styling is a bit of an acquired taste ! Mick - Does that mean the engine looks something like this one? Good luck with both the sale and the new build, Paul. Unfortunately not, it's a 1600 x-flow, neither does it have wobbly webs . 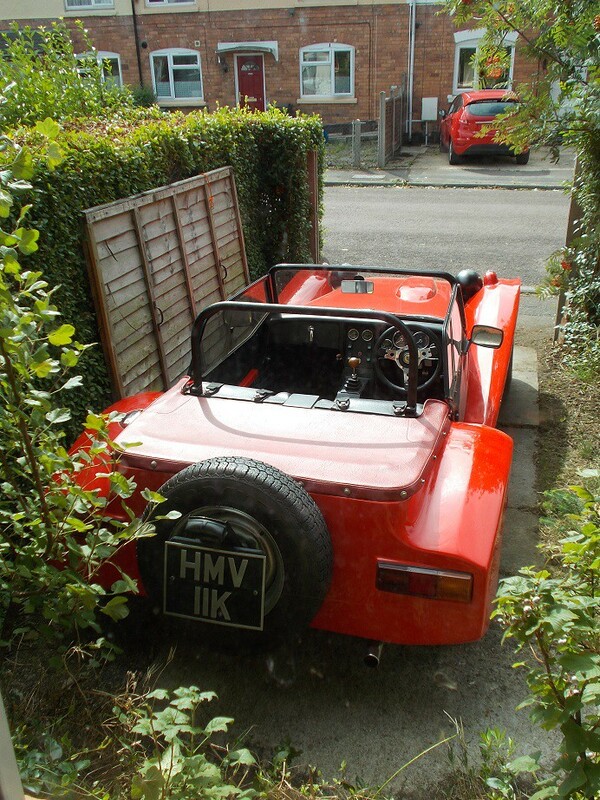 However, it is after all a classic open Chapman era two seater, eligible for the HLR . I'll be putting my S4 project up for sale once I'm back from my hols on 21 August. Once again I'll let the market decide its worth, but I won't give it away. 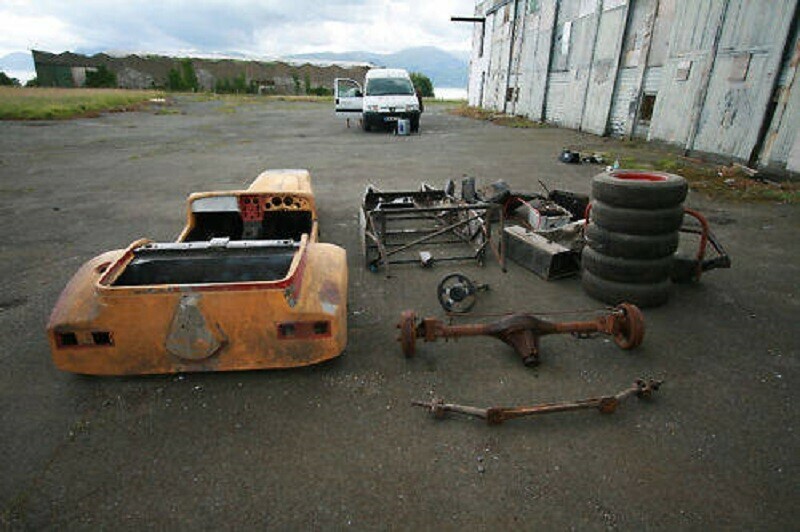 I ripped this photo' from the Ebay advert when I bought it in 2011, the vendor told me he was reducing his stock of 72 projects down to 40! S4 rebuild- a labour of love for someone but a very straightforward build. My S1 was banana'd when I got it but I rebuilt it from the chassis up. .....Seven. I quite agree . Here is My Seven clone (why is why i appreciate your real deal, lovely Lotus). Plus my modified Anglia , both 1700 Crossflow powered. Incidentally depending on how tomorrow goes at Supercar Bealiue , i may put my Mx 250 on Ebay, so following your Auction closely. Nice Anglia, mine rotted away and became a Jago. The Stryker is the best handling 7 clone, just a bit narrow in the seating area which is why I had to get a Fury. 'What a wonderful car. I hope it made more than you expected. I enjoyed your description of how the car had been built, and have spent an agonising few days trying to come up with enough money, but with school fees and a mortgage it is something of a relief that it is now sold! Best of luck with your next project'. Glad you sold your car and got a good price, Can i ask why you went for Auction style sale which is possibly risky (unless you have a reserve) rather than buy it now. Again more research for when / if i put mine (if i can stand entering Numpty world) . I bet you chewed your nails down to elbows in that auction period. Followed your build from the start, never saw the car despite living in Brockworth and competing at Prescott - now I spend the weekend at the South Cerney show (as we have done for the past few years) and I had to leave this afternoon without seeing your new toy! I opted for auction simply to let the market decide its value. I set the reserve at the minimum I'd take for it: if it hadn't reached that figure I'd have kept it. Luckily, I wasn't far off. The ten days only seemed to drag because of the stream of inane questions aimed at me. The top bidder for my car jerked me around for a week, initially saying he couldn't get a loan, then that he couldn't collect it in time for this year's show season, before backing out. My second chance offer was then taken up by a gentleman who yesterday informed me that he didn't think he'd be able to get in and out of it, so also backed out.